Hey all, well here are some pics of my track i have been working on. Havent come up with a name for it yet so any ideas are more than welcome, so is thoughts, ideas, coments, or any interest in racing on it! Looks like a fun track to drive. Now that's a pretty impressive way to lurk! Primer on timing systems is here as a place to start. Thanks, its ok once you get in to the rythum of it, but do wish i had a longer straight!!!! not enough room. And wife said NO its plenty big, first time i herd her say that lol! Noticed you are in brissie, where abouts im in Petrie, maybe we could race some time! I was reading that post the other day, makes it sound easy, but?????? I did buy some z1951 sensors yesterday and there is still about 9 there so i can get some if any one likes. i also bought a plug and some wire, but my question is how do i wire up the pit sensors, are they wired in series to the start line for the same lane or do they go to a different pin on the plug? if so do they count laps as they are passed or does every one lose one lap? 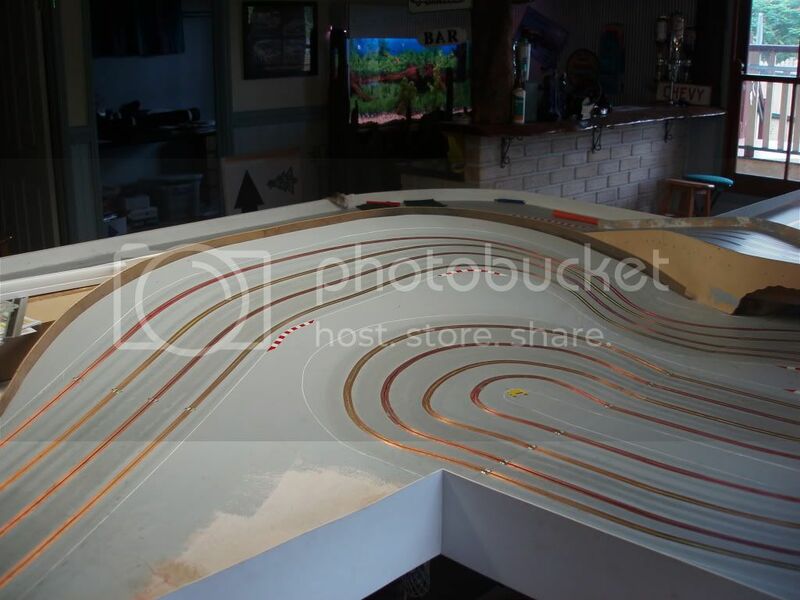 Jay that is a nice looking track you have built there. Maybe you you like a race night some time. Easy going informal social driving and a chance to show off your latest cars. We have 6 tracks across Brisbane with one in Buderim and one being built in Caloundra. Think it's something you want to try? Give me a yell. 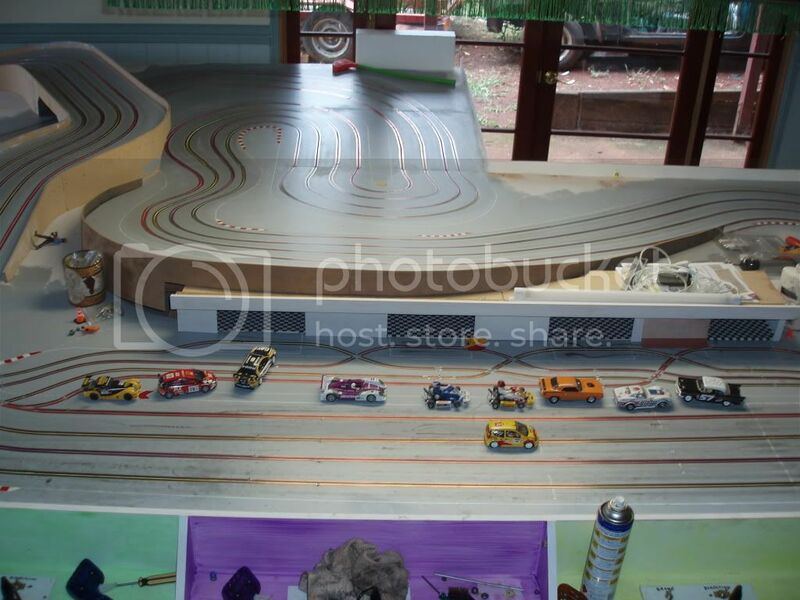 Nice track, see ur racing in petrie, we are just down in warner if you are ever up for some motoring. Our track is only a scaley sport track but still fun. 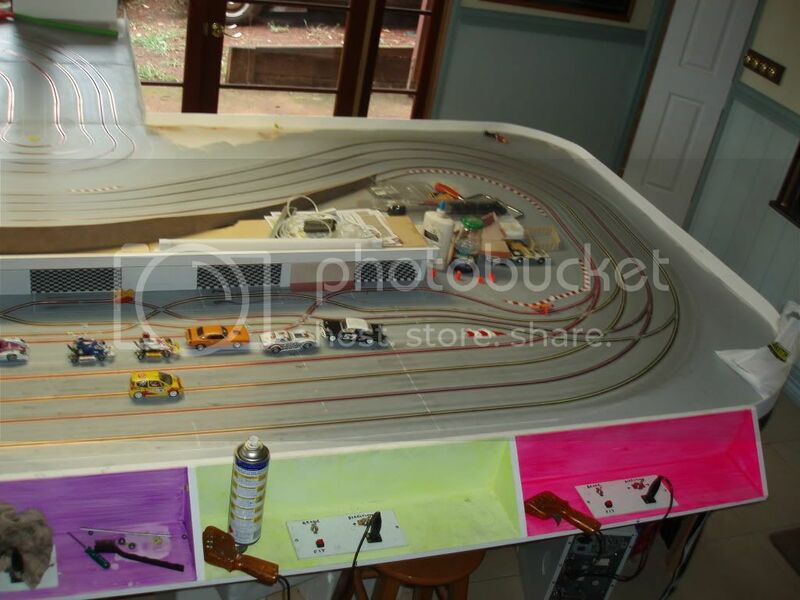 Looks like your routed track would be lots of fun and a joy to race on cheers mark..
Fun looking track, a few challenging sections, and another Queenslander - good to see more of us on the forum to keep the Mexicans in check. 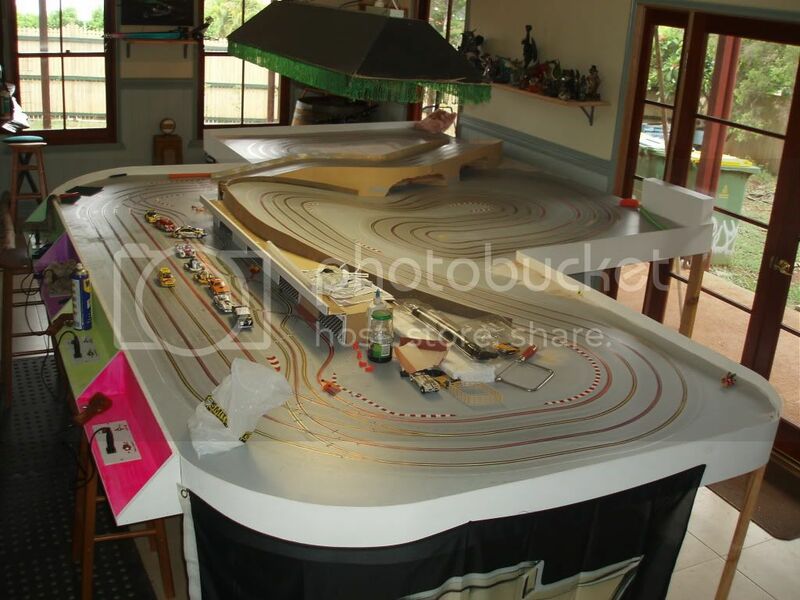 Did your track replace a pool table? Wow, fantastic looking track! Do you think it's big enough!? I had no idea there were so many tracks among Queensland Auslot members. Perro, Im always up for some racing! let me know when the next meeting is and ill hope to be there! Dangermouse LOL well.. replace um no it is actually now part of what it sits on, track is heaps more fun! most definately if you need any help wiring up your track timing let me know I would be more than happy to pop round and give you a hand and as for the racing yes we will have to organise something soon!! Our track is only a scaley sport track but still fun. 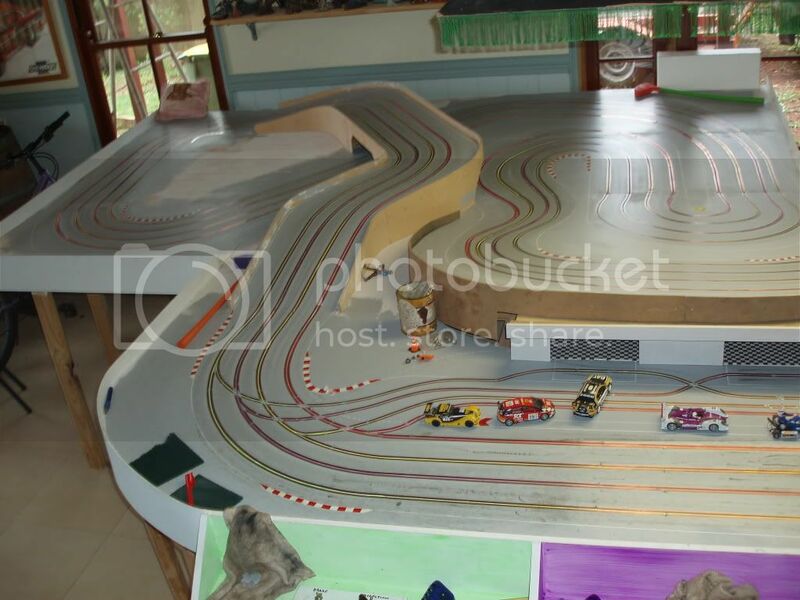 Looks like your routed track would be lots of fun and a joy to race on cheers mark..
Love your work Jay. I'm running SSD at Narangba. Believe John is rebuilding his in Burpengary. We've run on each others track and are always looking for others to be involved. 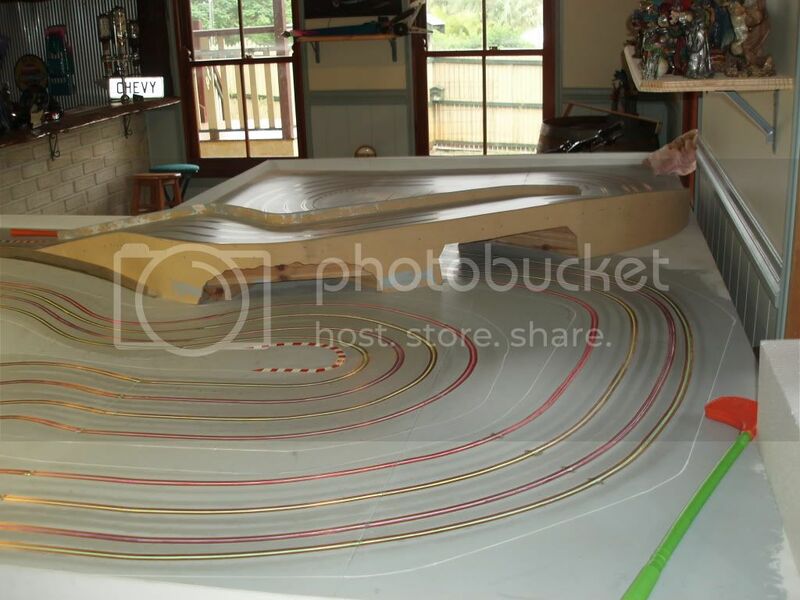 Track design is beautiful,get it happening!!!! !